Choosing the right instrument and equipment can make your experience a much more enjoyable one, plus save you money and time in the long run. The most important first step is going to a shop that specialises in string instruments. Too many times I have students come to me from general music shops with a violin or viola that fits them badly, has no shoulder rest or one that doesn’t fit them, or just isn’t set up properly, with poor quality strings, an ill-fitting bridge, pegs that don’t turn easily, or all of the above. These days most general music shops will have their instruments set up reasonably well (so this is certainly better than buying an instrument on ebay, where no matter how cheap it might seem to you, in reality you’re not actually getting a playable instrument) but there is no replacement for a specialist string shop where you’re being served by a string player who understands the peculiarites of playing the violin or viola. They can help you choose the correct size instrument, play for you the various instruments you are choosing from, and help make sure you go home with a complete instrument package that you can actually play. Your teacher will almost certainly make some more tweaks to your setup but at least you have a workable start. In general, I advise students to purchase the best instrument they can afford. Better quality string instruments will tend to keep their value and possibly increase over time. And the quality of affordable string instruments continues to increase from year to year. Even the most basic student packages are better now than ever before and continue to improve; and a violin for around $400 is better than one several times that price a decade or two ago. But for every increase in your budget, the increase in quality gets even more dramatic. Recently I have discovered the violins being sold by Antonio Strings, a violin shop based in Christchurch, New Zealand. I was in a violin lesson in Trinity college when one of the students got out a new 1/2 size instrument he’d just bought a few months ago. When I heard the sound I was very impressed. These instruments are really a cut above the rest. What really stands out on them is the sound and, perhaps even more, the ease of playing. Recently I had two AS10 violins from Antonio Strings. For a week, each lesson I had my students try them. Some weeks before this I had been describing these instruments to my students and their parents and despite my efforts at waxing lyrical about their wonderful sound and their playability, I got only polite, neutral responses. But when I brought out these instruments to try, the reaction was very different. Both players and listeners could immediately hear the wonderful warm open tone but even more they commented on the responsiveness of these instruments to different techniques we tried during the lesson. For example, when we were listening for ringing sounds such as harmonic overtones and sympathetic resonance, the sounds were more strikingly obvious on the AS10s than they’d ever heard before. For the beginner: its really worth investing in an instrument that rewards you when you do something right. A good beginner instrument will help teach you itself how to play it well. You want an instrument that will respond to the nuances of playing that you learn in your lesson with an obvious improvement in sound. It takes time and careful listening to learn to hear tonal qualities in the sound you are making, but an instrument that really exaggerates the differences will help you to learn more quickly. As much as possible in the beginning you want an instrument that is easy to play and can make a wonderful rich sound when you do everything well. For the advanced student: the better the player you are, the better the instrument you need. As you improve in your playing you will hear more clearly the sound you are making and the more you learn to create different tone colors the more you will appreciate the nuances of sound a better instrument can make. So whatever instrument you can afford now, consider starting to put some money aside to upgrade in a year or two when you will really appreciate the difference. And in the meantime, take the time to listen to as many violins as you can within your budget. If you listen to a row of identical violins very carefully you will hear small nuances in the sound and sometimes even big differences. I have had students come to me with new violins that sound much much better than the money they have paid for them, simply because they took the time to really listen carefully to the tonal colors of all the instruments they could. Buying a good shoulder rest is very important. 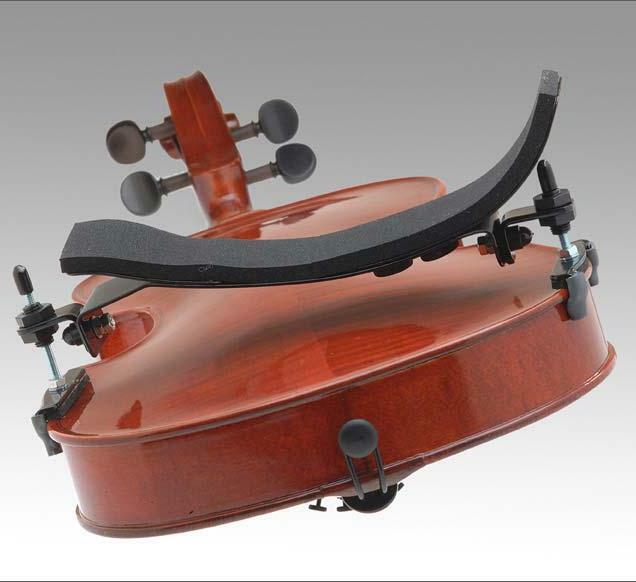 It has to fit both your particular physique and also be good quality With a well fitted shoulder rest, your left shoulder is free and the instrument is held securely, safely and comfortably in the correct playing position. 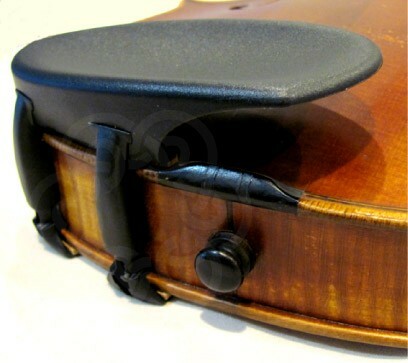 The best quality shoulder rests that are easily obtained are made by Kun, Wolf, Bon Musica and newcomer Everest. Another option is foam blocks or pads. Some of the worst culprits that I see all the time are the copies of the Kun design such as Fom and Johnson. 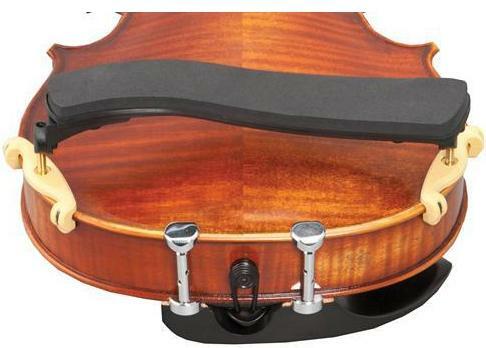 These are definitely not up the design standards of the better rests and in the context of buying an instrument and especially paying for time in lessons, the extra money you’ll spend on a good shoulder rest is some of the best money you’ll ever spend. 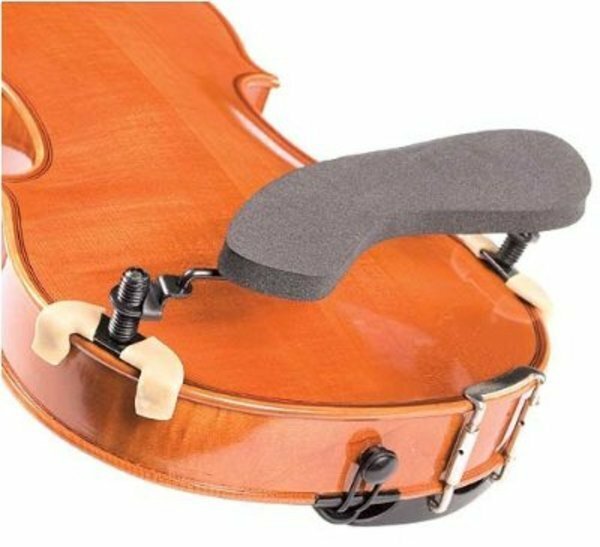 If you consider the amount of time we spend in lessons working on correct posture and violin holding, I can promise you its definitely not going to save you money to get a cheaper shoulder rest! Not to mention that I’m probably going to send you back to the shop to exchange it for one that doesn’t collapse or fall off every time you put the violin up. The chin rest is as important to your playing as the shoulder rest and perhaps even more important to get right. 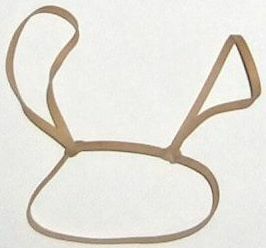 There are also some terrible chin rests out there, and again, a lot of time can be spent in lessons working on holding the violin correctly, only to find that the root of the problem is an uncomfortable chin rest. In this case, once the pain or discomfort is removed, the correct posture comes with minimal effort. It should be smooth, soft and rounded along the edge that sits up under your jaw bone. The worst thing in a chin rest is a sharp ridge on that edge since our jaw contacts it there strongly. 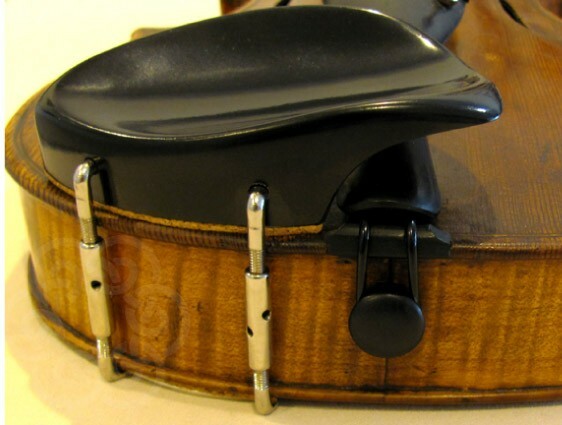 I also find that a chin rest that covers the top of the tailpiece is often more comfortable since the tip of our chin will naturally come to rest down over the tailpiece. When your chin rest fits you well, you can turn and drop your head and your chin and jaw fall comfortably into the cup of the rest and your head, neck and shoulders are free of tension. Teka make a very affordable chin rest in plastic that I find often gives a comfortable starting point for taller students. 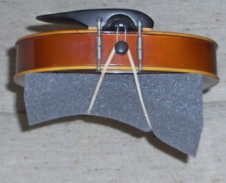 The Wittner chin rest is excellent for smaller violins or for those with sensitive skin. For more established students there are a wide variety of different shaped chin rests to investigate and a well fitted chin rest can often make a huge difference to your playing. 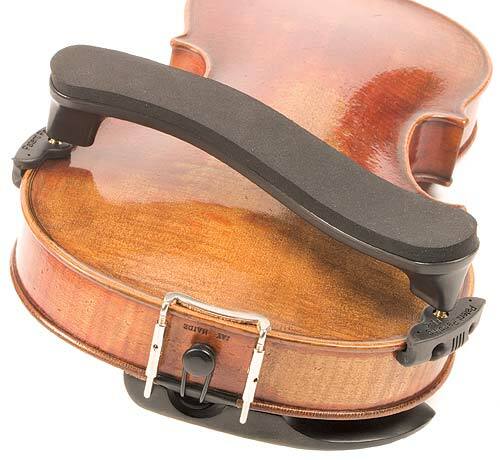 Extra height on the chin rest instead of the shoulder rest for example, allows the violin to sit closer to shoulder level and can make a massive impact on your bowing action and ability. For an in-depth discussion of fitting shoulder rests and chin rests and how much it affects your playing, visit this excellent account of a year-long study of eleven students at the Utrecht School, Faculty of Music in the Netherlands. A good specialist string shop should have staff who are able to help you choose from the myriad of options available and help you select accessories for your instrument that suit you and allow you to play comfortably with good posture. I highly recommend Antonio Strings (in NZ, warehouse in Preston) and Bows for Strings, Glen Waverley.